A man who beat his girlfriend with a wooden stick before ‘tearing apart’ her home has been handed a suspended prison sentence and a five-year restraining order. Ian Huddlestone, 39, lost his temper during an argument with the victim on 7 November last year. 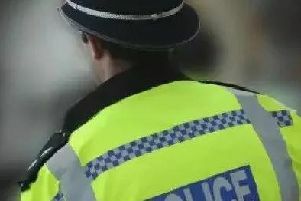 Concerned neighbours reported the row to police at about 4.45pm after they saw the victim running from her home in Cambridge. The victim showed the neighbours her injuries and said Huddlestone was “tearing the place apart”. As officers arrived she told them Huddlestone had grabbed her by the face and held her by her neck. She went on to explain how she had tried to free herself by hitting Huddlestone with a stick, but he grabbed it from her and launched into a second attack, hitting her several times in the ribs. As the victim returned to her flat she saw it had been badly damaged by Huddlestone, who had continued to break her belongings after she fled. He was arrested at the scene and later pleaded guilty to charges of assault occasioning ABH and criminal damage. Huddlestone was sentenced on Thursday (March 21) to 16 months in prison, suspended for two years. He was also ordered to complete a 30-day rehabilitation requirement, partake in the Building better relationships programme and ordered not to make contact with the victim for five years. DC Susan Burberry said: “This was a terrifying ordeal for the victim, who was forced to run from her own home in fear of her safety. We would strongly urge anyone who is a victim of domestic abuse to contact police on 101 or call the national domestic violence helpline on 0808 2000 247. For more advice and support on domestic abuse, visit www.cambs.police.uk/domesticabuse.